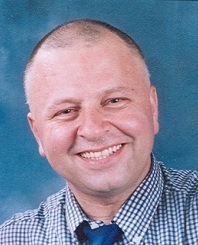 Philippe Zgheib is an assistant professor of management. He holds a PhD in Economics and a Professional Doctorate in Civil and Environmental Engineering from Utah State University. He is actively involved in research and his main research interest lies in business start-up and entrepreneurial knowledge. He has a recently published book entitled “Business Ethics and Diversity in the Modern Workplace” by Business Science Reference, an imprint of IGI Global, USA. Institute for Public Policy, “Country Brief for Climate Change”, 2011. Aramex International, “Strategy and Negotiations” executive consulting, 2011. Private Bank, “Consumer Confidence Index for banking”, 2010. Private institution, “Strategic Audit for Governance in Healthcare”, 2009. University of Pittsburgh (UPMC), “Cost Utility of Hospital Management”, 2008. University of Pittsburgh (UPMC), “Variance Analysis of Drug Efficiency”, 2007. UNDP, “Integration of UNDP into Formal Government Functions”, 2003. US Army Corps of Engineers, “Wyoming State Water Permit”, 1993. USAID, “Water Projects in the Sahel drought”, 1991. Zafer, A.U, Zgheib, P.W., Kowatly, A.K., Rhetts, P. (2012). The History of Overseas Lebanese Entrepreneurs Operating Worldwide. Journal of Management History, 18(3), 295 -311. Zgheib, P.W. & Kowatly, A.K. (2011). Autonomy, Locus of Control, and Entrepreneurial Orientation of Expatriates, Journal of Small Business and Entrepreneurship, 24(3), 345-360. Zgheib, P., Zgheib, N. Cecchetti, A., Parmanto, B., Ahmad, S. & Branch, R. (2011). In-hospital Drug Use Optimization Using Marginal Utility Theory. Journal of Pharmaceutical Health Services Research, 2(2). Zgheib, P. (2008, June). Knowledge Management Practices: Adopting Japanese or Western Approach, IFKAD: Intellectual Capital Dynamics Innovation Capabilities third edition. Matera, Italy. Zgheib, P.(2006). Female Gender Descriptors for Entrepreneurial Autonomy of Women: opportunities and constraints. Competition Forum, 4(2), 481-488. Zgheib, P., Ahmad, Z., Beldona, S. & Gebara, V. (2006). The Impact of Population Growth on Human Development Index - A comparative Demographic Analysis of Middle Eastern Countries. International Journal World Review of Science, Technology, and Sustainable Development, 3(3), 258-269. Zgheib, N., Zgheib, P., Usta, J. (2006). Comparison of Job and Career Satisfaction Between Women Physicians and Academicians. Journal of Health and Human Services Administration, 29(1), 26-51. Zgheib, P.(2005). Managerial Ethics: An Empirical Study of Business Students in the American University of Beirut, Journal of Business Ethics, 61(1), 69-78. Zgheib, P., Carraher, S. & Habr, N. (2005). Internet Marketing in an Emerging Country: An International Marketing Perspective., International Journal of Family Business, 2(1), 47-61.